Lauren Masi, PT, DPT, OCS, ATC, brings her extensive physical therapy experience to the Lafayette, California, area as owner and clinical director at Lafayette Physical Therapy. Lauren received her bachelor’s degree in physiological science from the University of California, Los Angeles. She went on to receive her master’s degree in physical therapy from California State University, Northridge, and her transitional doctorate at the University of St. Augustine in Florida. 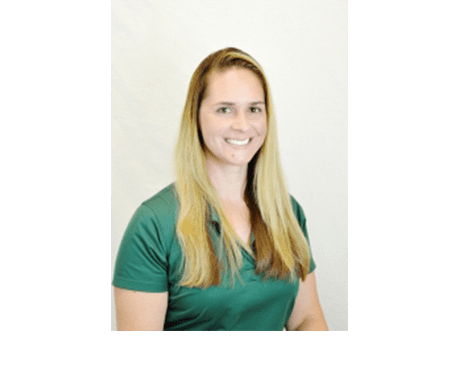 Throughout her career, Lauren has trained in multiple physical therapy applications, such as Mulligan and Paris techniques, spinal stabilization for injured athletes, myofascial release, and spinal mobilization. She also has experience with extremity mobilization, visceral mobilization, external pelvic health therapy, and vestibular therapy. Lauren is committed to continued education and recently completed courses focusing on shoulder injuries, baseball biomechanics, visual mobilization, and vestibular rehabilitation. She has also trained in golf mechanics relating to wellness and injury prevention in the golf swing. Using this additional sports training, Lauren partners with the California Interscholastic Federation North Coast Section to provide medical coverage as an athletic trainer for high school sports teams. At Lafayette Physical Therapy, Lauren specializes in operative and nonoperative orthopedic injuries and sports medicine with an emphasis in prevention and rehabilitation. She takes a special interest in surgical techniques and how they affect rehabilitation. When working with patients, Lauren enjoys creating individually tailored treatment plans that combine manual therapy, exercise, and wellness as well as postural and prevention education. Lauren is a board-certified orthopedic clinical specialist with the American Physical Therapy Association. She is also a certified athletic trainer with UCLA Athletics. When she’s not working with patients, Lauren enjoys horseback riding, practicing yoga, and spending time with her family and dogs.